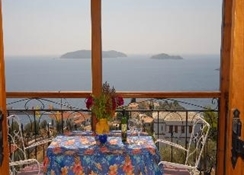 Enjoy a sun filled value holiday in Skiathos by booking your stay at the Elenis Village. 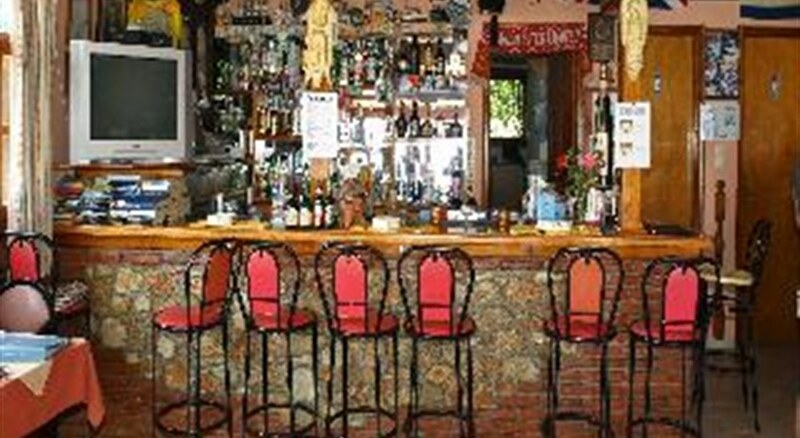 The Elenis Village is located up a hill about 100 m from the main road in the Achladies area of Skiathos Island. 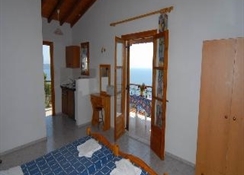 Amazing views of the Aegean Sea greet visitors and this family owned and operated property offers a total of 10 studios with modern amenities and traditional Greek hospitality. This is a terrific complex for couples and singles wanting a lively holiday with a choice of beaches within walking distance, including Achladies Beach just 650m away. Guests to the Elenis Village can discover marvellous beaches and fishing villages, walk to lots of shops, bars, and restaurants, and enjoy plenty of water sports on the beach. Whatever your mood, the Elenis Village is a great value hotel for an affordable holiday in sunny Skiathos. Skiathos Airport is 15 km from the hotel. Local Tips: Achladies is only 3 km away from Skiathos town and there is a regular bus service to the town of Skiathos or to any other of the 60 beautiful beaches in Skiathos. The bus station (9) is only 100 from Elenis Village. The facilities at the all-inclusive Elenis Village offer everything you need for a relaxing holiday. 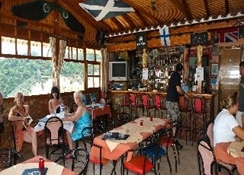 Food and activities: Swimming pool and pool bar that operates all day long and offers a variety of snacks and soft drinks and cocktails. Additional there is a TV set playing all major sports events. Additional: Reception services, money exchange, within a walking distance you will be able to find restaurants, bars, cafes and super markets.